Hispanic Vote believes strongly in Conservative Principals: Limited Government, A Strong National Defense, A Free Market Economy and Traditional Values. Conservative values are rooted firmly in The Hispanic culture, and Hispanic Vote believes that conservative candidates and the conservative movement in general have a tremendous opportunity to connect with Hispanics by proclaiming their message aggressively among the Hispanic community. Hispanic Vote has been launched to enable & connect with 21.7 million eligible Hispanic voters, with a focus on youth and independent outreach, engagement, interaction & content that reaches the Hispanic vote where they are “online & engaged with social / digital media”. The 2012 elections in the US will be the year where social & digital media becomes a core component of the direct campaign messaging media. While it may be said that in the prior 2008 election social media may have elected our president it is a fact that in 2012 the social & digital media will become the media of choice for 18 to 34 adults in the US. If search engines can provide insight into the popular vote based on keywords and searches, then social networks can offer predictions on winners and losers among Democratic and Republican candidates. Since 2008 Facebook has grown from 100 million members in 2008 to over 800 million members at the end of 2011. Some additional statistics include; the average user has approximately 130 friends & more than 50% of the active users login daily. The growth of Twitter is also reaching more of our target audience with nearly 1 billion tweets per week and now has over 100 million members. Streaming media for IPTV channels have taken root and some viewership of online media direct to consumers is getting tens of thousands of viewers per program with more to come. YouTube has recently launched live streaming channels for direct to consumer content via online PC’s & connected TV’s. The fastest growth sector is in mobile media, content & solutions where bandwidth from cellular providers, smartphones & apps has liberated information & content for direct to consumer consumption. 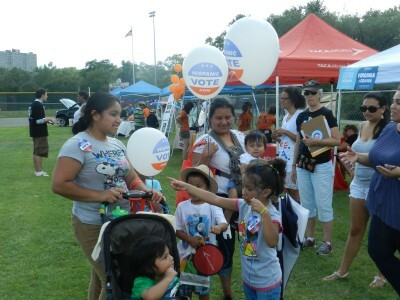 HispanicVote works with TurboVote to register to vote more than 21 million eligible Hispanic voters. 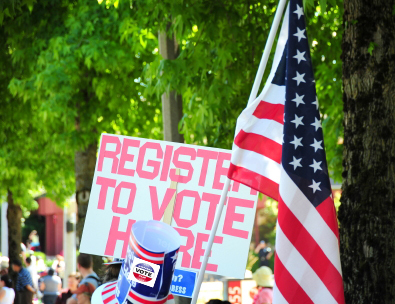 What TurboVote does is streamline the voter registration and absentee ballot request process using the Internet and good old U.S mail. All in all, it’s a pretty handy tool that uses the Internet to make the complicated voting process easier. www.turbovote.com.